If you’ve ever thought about adding online video to your website, then some new web technology coming out that might make you think more seriously about it. To put it simply, with the release of HTML 5, the opportunities for online video on your website will be taken to a whole new level. Most of these devices require an installed application called “Adobe Flash Player,” which is free. However, some devices (iPhone & iPad being classic examples) actually can’t install and use the Flash Player, so you can’t watch any flash-based online videos in them. By the way, there are actually LOTS of different formats of video that can be played online, but for simplicity’s sake, I’m going to be focusing on Flash, as it’s the most popular. So, going back to Video, HTML 5 has introduced a standardised method of playing online video which doesn’t require the installation of the Flash Player. Over and above that significant development, it also introduces a range of very cool functionality & features (i.e. “bells and whistles”) that will significantly broaden the power of online video moving forward. Let’s be honest here – most people now have the ability to easily record video via their mobile phone or even their standard digital camera, so that’s no longer the barrier to entry for CREATING video. And, even if you don’t have that, a quality hand held digital video camera is easily available in most electronics shops these days. There really isn’t any excuse for you to NOT use video on your website. You can record it easily with a variety of cameras, upload it to YouTube (for all the world to see & hear your story) and embedding that video in your website is 5-10 minutes work for your web designer! 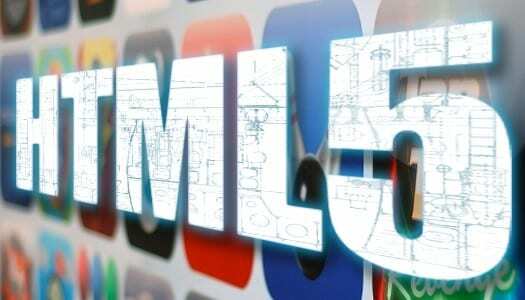 So, with HTML 5 bringing a whole range of new options in for video, even if you’re not ready to use it yet, I recommend you at least start getting familiar with it for future use. Will HTML 5 Kill Flash? HTML5 Video Test (HD) – make sure you watch this full screen! If nothing else, it will give you an introduction to some of the different cool new features available with this advance, and if you are already using online video, hopefully this will get you thinking more about the future opportunities available.